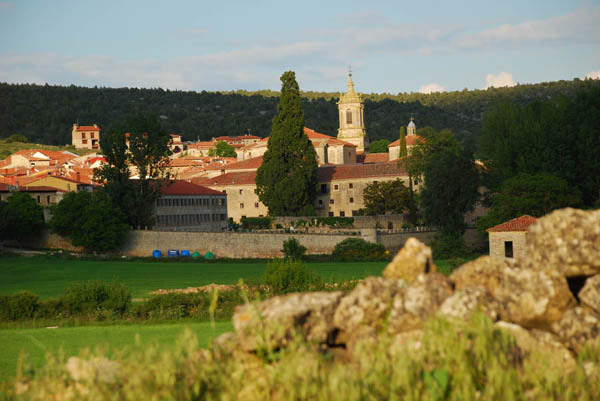 We drove over gorgeous rolling countryside in the early evening of May 20 about thirty kilometers from Lerma for the evening Vespers at the Monastery of Santo Domingo de Silos. The monastery has a long tradition of singing Gregorian chant. The monks of Silos became internationally famous through the album “Chant,” one of a number of recordings they have made. First released on LP, Chant became popular when re-released by Angel Records in 1994 and strongly marketed. It peaked at #3 on the Billboard 200 music chart, and was certified as triple platinum, becoming the best-selling album of Gregorian chant ever released. It was followed by “Chant II” (1995). Posted in Europe Tours, Spain Tours, Undiscovered Places and tagged gregorian chant, santo domingo de silas, spain.